2013 FIBA U19 World Championships: Canada vs. USA: Historically a lopsided affair, will it be any different without Andrew Wiggins? Prague, CZ – (BasketballBuzz) – USA vs. Canada regardless of sport, competition or age group always brings the best of the two nations. Unfortunately for Canada the results between the two at U19 level haven’t been kind to them. The Americans are 6-0 against Canada’s Junior Nationals dating back to July 2009, including a 54-point trashing, 113-83 in 2012. When the 2013 Junior Men’s National Team Training Camp rosters were announced by both the USA Basketball and Canada Basketball one couldn’t help but look head at the potential clash between the two neighboring countries. Specially at a time where Canada’s growth of Basketball is at an all-time high. Given those results one would wonder, why should we all be salivating at the possibility of what on paper is pretty much guarantee to be another American blow out victory? The Simple Answer, Andrew Wiggins! The opportunity to see Wiggins, Trey Lyles, Tyler Ennis and company perhaps represented the best opportunity for Canada to make that loud statement that they have finally arrived. Or more importantly, help close the huge gap that has stood between the two nations. With Wiggins decision to focus on Kansas those chances have diminished greatly, which is rather disappointing for this special group because even at full strength, the challenge to defeat the USA would’ve been enormous and would’ve required a special performance like the one that occurred on August 2005 in Mar del Plata in Argentina. A closer look at the archives revels that the last time Canada defeated the United States at Junior National level was at 2005 FIBA U21 World Championships, when it got one of the best individual performances to date, as former Pittsburgh Panther and veteran member of Canada’s Senior National Team Levon Kendall unleashed a 40 point, 12 rebound master-piece to pull off a 93-90 over-time shocker. The American squad featured Rajon Rondo (Boston Celtics), Rudy Gay (Toronto Raptors), J.J Reddick (Milwaukee Bucks) &amp; Glen “Big Baby” Davis. The two nations will once again meet, this time at the 2013 FIBA U19 World Championships. The United States comes into the highly anticipated prime-time quarter-final match-up with a perfect 6-0 record while averaging a tournament best 95.3 points per game and limiting their opponents to just 52 points. Yes, that is margin of victory of 43 points. Canada (3-3) the sixth ranked country in the World is riding a two-game winning streak and playing their best basketball of the tournament after two tough losses against Spain (81-70) and Croatia (79-66) to open the World championships. Leading the way for the Americans is Aaron Gordon (Arizona Wildcats) with 13.7 points and 6.8 rebounds and 6’10 Center Jahil Okafor with 12 points and 4.8 rebounds per game. Tyler Ennis (21.3 points, 3 assists) and Trey Lyles (19.5 rebounds, 8.8 rebounds) and have carried the Canadians and both sit at the top of the scoring list. Ennis started the tournament by pouring four straight games of 20-plus points including a team-high 28 points in a disappointing lose to Lithuania after holding a 19-point lead. Trey Lyles has been as good, if not better than advertised with four double-double in six games and also ranks (6th) at the top of the rebounding leaders. 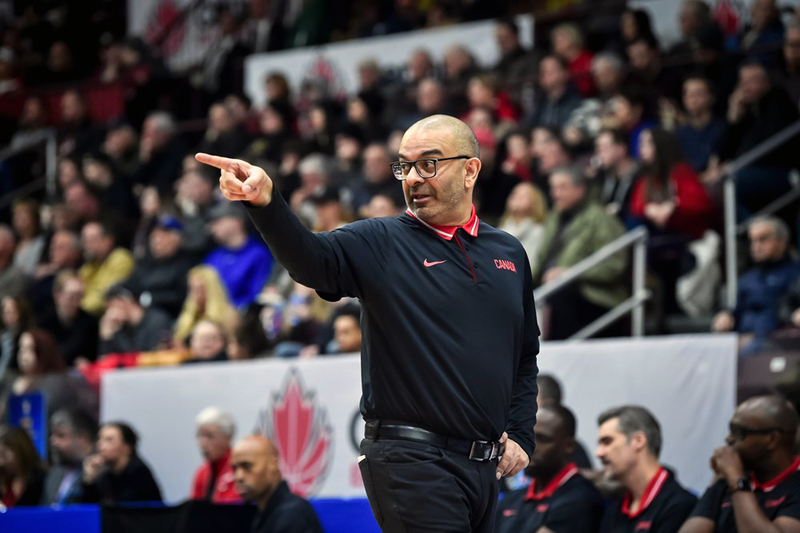 All eyes will be on Canada – for the first time in a long, long time a meaningful amateur basketball game will be televised nationally across Canadian airwaves with the only unfortunate part being that that everybody has done their part to ensure that this moment would be as meaningful as possible. To bad Wiggins will not be there to either put on the individual performance required to pull off the shocker or help close the large 28-point margin of victory that has separated the North American rivals. The choice to represent your country at the international level is an individual decision which is often influenced by many factors and in the case of Wiggins, the choice of skipping this Golden opportunity is not one that should labelled as selfish, arrogant and nor should it be an indicator of his intentions to not represent the Maple Leaf in the future. Rather, we should look at this, simply, from the perspective of a lost opportunity.